An individual journey of photographic exploration. 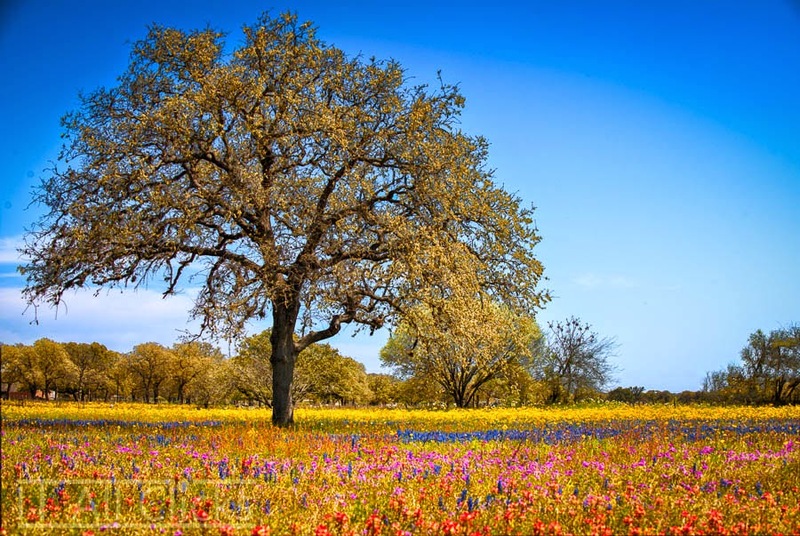 It is wildflowers season in Texas, and this has been one of the best years in a while. Good rains and fair weather have played their part in lining the roads and highways with rainbows of color. Together with the classic Bluebonnet you can find Phlox, Indian Blankets, Showy Primroses, and Dandelions. Dotting the fields like rivers of color, they brighten up the scenery for a while. This was captured at the Oak Creek Cemetery in New Berlin, Texas.